In August 2011, I received my official invitation to enter Peace Corps service in Ghana. I didn't know anything about Ghana, and though I wanted to serve, my biggest worries centered around leaving the supportive circle of friends I had in Sonoma county. One of those friends smiled when I talked about going to Ghana; he knew Dan and Agnes and put me in touch with them and I learned about their work in Ghana with Recovery Africa and the Bill Moore Oxford house they'd established there. Bill Moore is legendary in certain Sonoma county circles, so that seemed like a good sign. I finally got to meet Dan and Agnes, along with Byron Merriweather and others, visited Bill Moore House in May 2012 when students from the US were visiting and learning about recovery in Ghana. I was excited to get to join the group on their bus as we toured the Eastern and Volta regions of Ghana, visiting recovery houses and prominent friends of recovery. It was incredible gift to see recovery in action as we visited each place and Dan and others spoke about recovery and the work of Hopeful Way Foundation (RA's Ghanaian partner organization) in Ghana, and of the potential to bring recovery to Ghana in a bigger way. The cultural dynamics were fascinating. 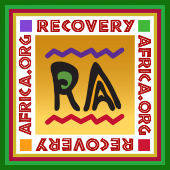 In recovery, we learn to tell our stories, and in Ghana's fervently heart-felt culture, this is a powerful way to weaken the stigma that surrounds addiction. Having been in the country for almost a year, I also cherished the way the American students helped me see Ghana as a newcomer again. I am very grateful to Hopeful Way Foundation and to Dan and Agnes for that opportunity.